You can help to raise vital funds for PCA and research into early diagnosis when you shop online, and what’s better, it won’t cost you a penny more! We work with both Amazon Smile and Give as you Live to make it really easy for anyone who wants to donate to us while they shop online. All you have to do is shop through their websites or mobile apps and let them know that you’d like to donate to us and they will do all the hard work! How do you get your donation? 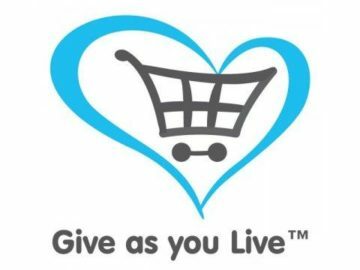 Amazon Smile and Give as you Live will receive a commission from the stores as a thank you for sending customers their way, and PCA will receive a donation from that commission! So all you have to do is shop as normal online and don’t pay anything extra, plus It’s also completely free for us. There are no joining or payment fees, so 100% of the donation will reach us. Simply visit Amazon Smile OR Give as you Live and register with them. You will only need to do this once and they’ll remember you next time you shop through their websites. Don’t forget to select Pancreatic Cancer Action as your chosen charity! Visit the app store for your device and search for ‘Amazon Smile’ OR ‘Give as you Live’ and register with them. You’ll only need to do this once and they will remember you next time you shop through their apps. Again, don’t forget to select Pancreatic Cancer Action as your chosen charity!